Virtualisation has been one of the most exciting innovations to take off in the IT sphere of the last decade. Virtualising vast swathes of your infrastructure can deliver substantial savings in terms of hardware, power cooling and most importantly, valuable data centre space. Virtualisation has also led to to the rise of cloud computing as a viable proposition. But virtualisation can also cause massive headaches when trying to secure your newly virtualised environment. Suddenly, traditional designs for segmentation, endpoint defence, and traffic inspection no longer work. 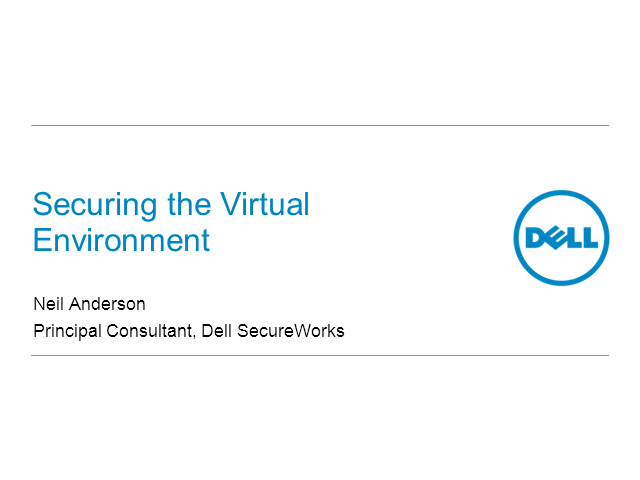 Traditional architectures have gaping security holes when applied to virtualised environments.